John the Baptist’s statement, “Christ must increase and I must decrease,” defines what it means to be holy. The journey to sanctity involves knowing the truth about yourself and allowing God to work through you for the good of his creation. Explore the three paths to holiness with Bishop Robert Barron: finding the center, knowing you are a sinner, and recognizing that your life is not about you. 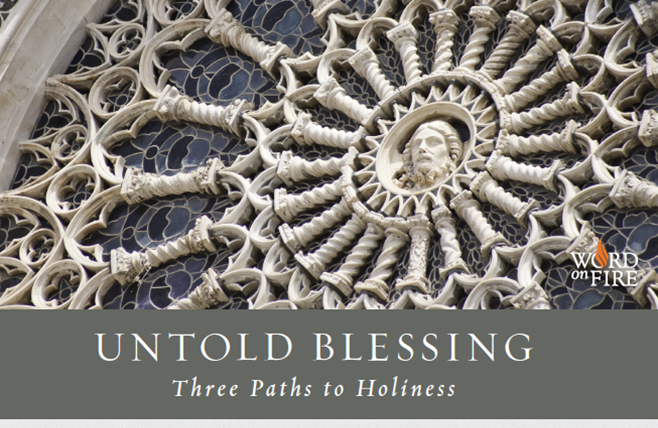 Learn more about this journey by participating in rather Barron’s study program, Untold Blessing: Three Paths to Holiness. The cost for materials is $30. Please register using the form below. When you click submit below, you will be taken to our Parish PayPal page to complete your payment and registration. A copy of your submission will be emailed to you and to our Faith Formation team. Thank you!